This electronic device is actually part of your vehicle’s anti-theft system and is separate from the remote entry fob and your vehicle alarm. Consisting of a small chip embedded in the handle of the key, when the transponder key malfunctions it fails to send the proper signal to the vehicle and start the engine. 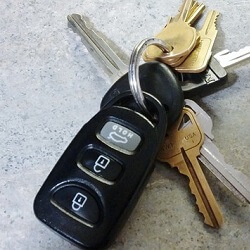 Usually, car owners take their vehicles to authorized dealerships and have the keys copied. Depending on the year make and model of the vehicle, we can handle this problem for much less than dealer pricing. We know how to program car keys so that they will work for your specific vehicle and can help you when they experience glitches as well. We offer reliable automotive services 24 hours a day. And on top of this, we can conveniently come to you no matter where you are and we promise 30 minute or less response times. We take pride in our skills and always treat our customers with respect.